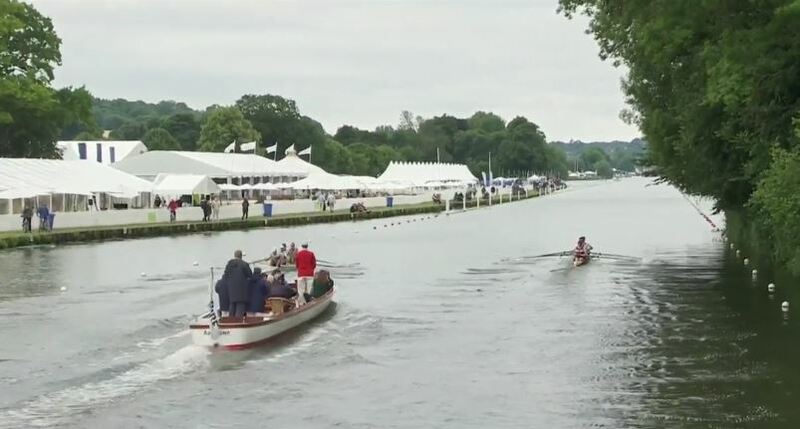 Henley Royal Regatta is the pinnacle of the UK rowing season as well as being one of the places to be seen over the summer. Famous for its Pimms, its blazers and riverside picnics, Henley also boasts a tough 2112 metre stretch of river marked off with unforgiving log booms on either side. 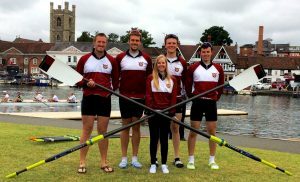 2017 saw two crews from Stratford upon Avon Boat Club aiming to bring back some rowing glory to the West Midlands. 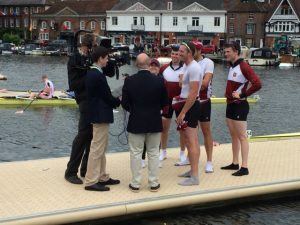 First up was the Wyfold Cup coxless four entry of Club Captain Oli Smith, Ben Smith, Alastair Collier and Harpreet Mander who were asked to go through Henley Qualifiers held the Friday before the Henley Royal Regatta start. The aim of the qualifiers was to whittle down the sixty strong entry to thirty two. 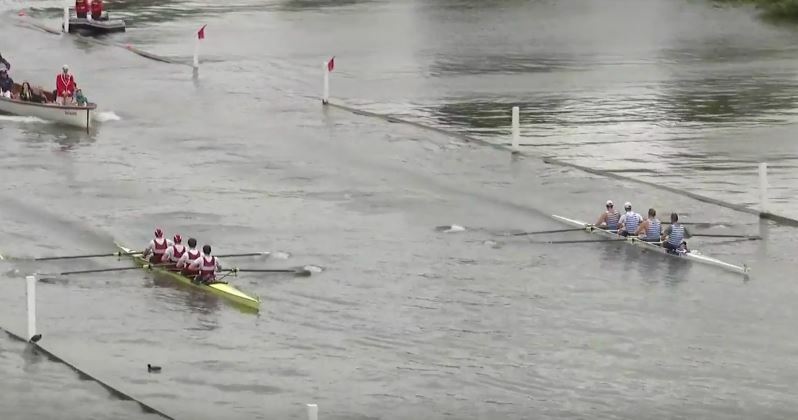 Unfortunately despite rowing strongly, the crew fell just ten seconds short of qualifying. The second crew targeted the Britannia Cup for coxed fours. The crew of Chris Thomas, Ben Twiney, Tom Coles and Ed Lewry were coxed by Eleanor Willetts. 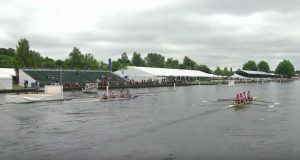 Only sixteen crews were allowed entry and due to their early season form the crew was automatically qualified into the main draw where they were pitched against Riverside Club from the River Charles in Boston, America. In all, eight crews had flown in from around the world to take on Britain’s best club rowers and the Riverside Club crew were strongly fancied by many to make progress through the draw. The race took place on Thursday morning and the Stratford crew who had trained extensively over the course, managed to nail their start giving them a quick half-length lead. 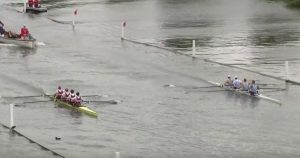 However, Riverside had other ideas and over 1500 metres they whittled Stratford’s advantage away until the two crews reached the grandstand enclosures, about 500 metres from the finish, dead level. Stratford weren’t to be denied and in an epic sprint to the line, stroke man Chris Thomas raised the rate again with ten strokes to go to cross the finish line just four feet ahead. 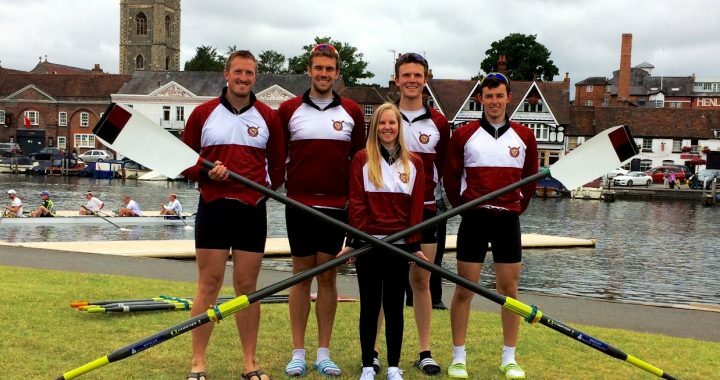 This meant Stratford’s next opponents on Friday were St Andrews, an Edinburgh University alumni crew, containing a number of ex-GB and Canadian internationals. After a sustained battle along the course, the St Andrews crew won by just over a length. St Andrews went on to contest the final as well – losing by only a length to a crew from Norway. Stratford Senior squad coach Bill Sullivan commented, “Both crews can be very proud of their achievements this week. Stratford were one of only three British crews left in the Britannia cup at the quarter final stage and we gave the eventual finalists a real fright. 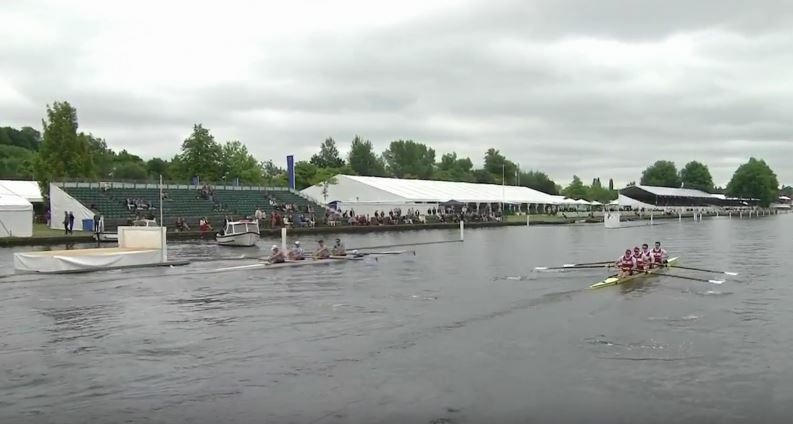 It gets progressively harder for smaller, provincial clubs to make a mark at this level but this is the third year that Stratford upon Avon Boat Club have made the last eight places at Henley Royal Regatta. Well done to our Wyfold crew who worked so hard and showed huge commitment through all those cold winter mornings. Success has been built with this squad as well as the juniors and veterans squads by terrific volunteers giving up their time to nurture athletes of all abilities and encouraging them to make the most of their talents and I’d like to thank everyone who makes a contribution. Onwards and upwards to 2018″.